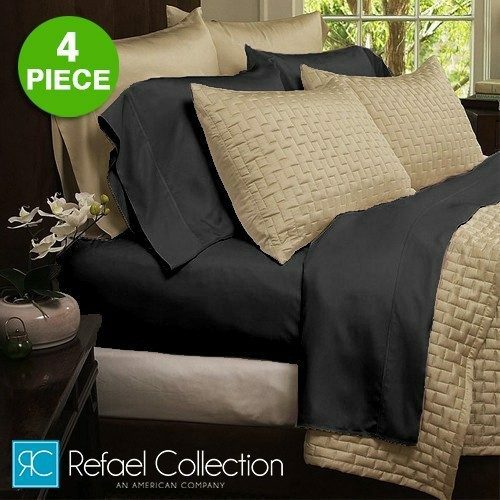 The Original Best Bamboo Hotel Organic Bed Sheets Just $20.69! Down From $99.99! Ships FREE! You are here: Home / Great Deals / The Original Best Bamboo Hotel Organic Bed Sheets Just $20.69! Down From $99.99! Ships FREE! GearXS has this The Original Best Bamboo Hotel Organic Bed Sheets on sale for $20.69 (Reg. $99.99) when you use promo code MOM at checkout! Tossing and turning on uncomfortable sheets can rob you of a good night’s sleep. Our organic bamboo fiber bed sheets are more than a perfect solution to those restless nights. The 1800 series organic bamboo fiber sheets are comfortable and ultra-soft & silky which ensures your body and mind get a peaceful sleep all night long. These bamboo sheets are made up of eco-friendly organic bamboo fabric blend with microfiber, offering luxury cosiness and breathability.